Crafted from exquisite 100% polyester that is well-known for its quality, strength and durability, this Plain Satin Chocolate Polyester Fitted Sheets features a lustrous 20cm depth in a plain weave for a luxurious feel against the skin. Available in Single (90cm x 190cm), Double (135cm x 190cm), King size (150cm x 200cm) and Superking (180cm x 200cm) this fitted sheet can be machine washed at 40 degree Celsius for spanking new look. 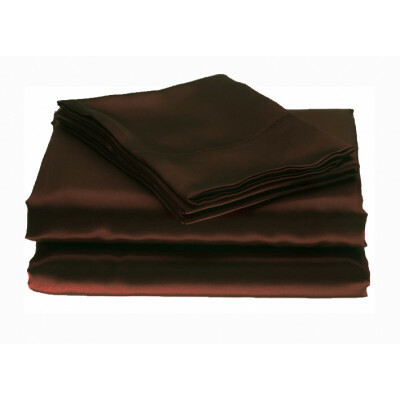 The rich brown colour of this sheet will easily coordinate with all types of décor schemes.